Welcome to A-Plan, Oxford, your nearest branch. 107 High Street, Oxford, OX1 4DA mile away. 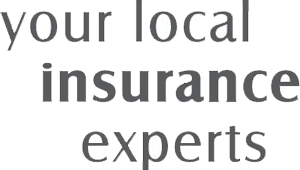 As your local insurance broker, A-Plan Oxford has been serving clients in your area for over 25 years. We have specialist facilities for private car, home & contents and commercial vehicle insurance. Oxford is the city where it all started for A-Plan. We opened our first ever branch in Oxford in 1963 and we are now in the heart of this historic city, located on the High Street in an old academic hall, historically dating back to 1279. Primarily focusing on private car, home & contents and commercial van insurance, we also specialise in young driver insurance in Oxford and have numerous schemes to offer first time drivers. We continue to sponsor our longstanding relationship with local RFC - Oxford Harlequins, now based back at Marston Ferry Road, Oxford. Your Oxford Branch Manager. Get the right cover at a great price! Put our local team to the test to see how we can help you.